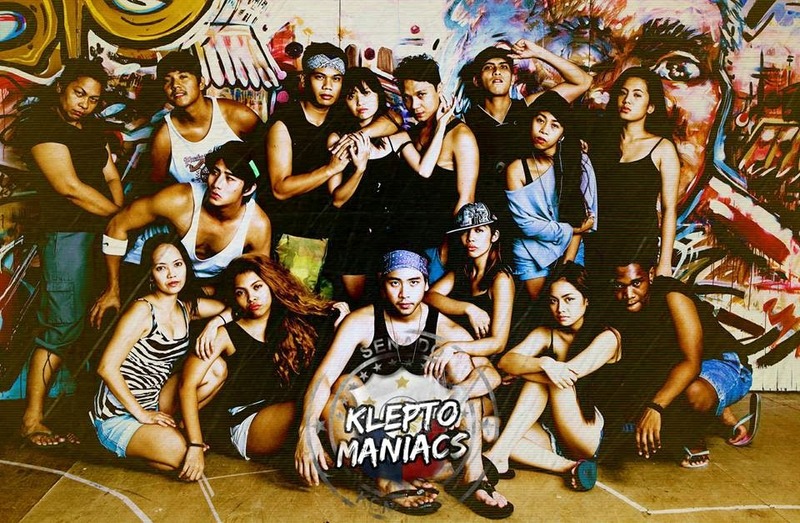 Layeta Bucoy’s Kleptomaniacs opens Tanghalang Pilipino's 28th Theater Season that promises to be the first-ever rap musical on Philippine stage. 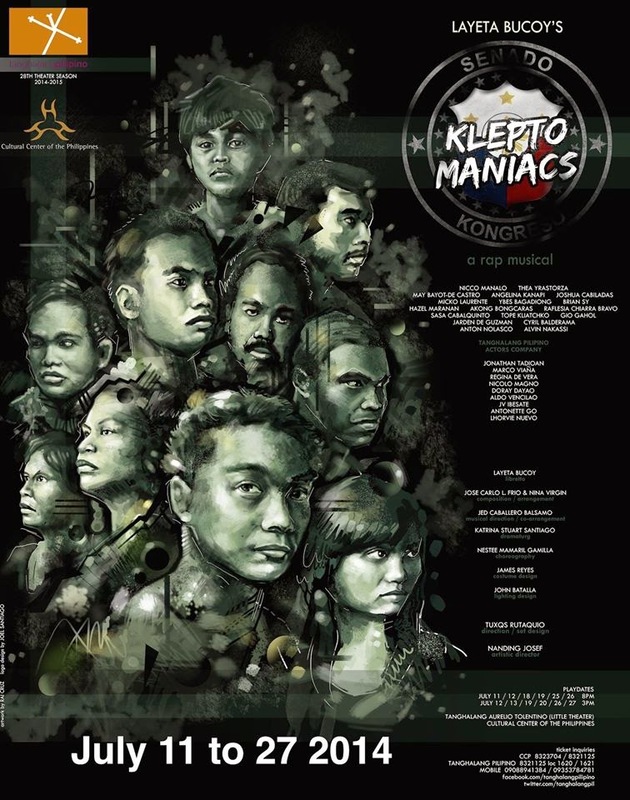 Kleptomaniacs runs from July 11 2014 until July 27 2014 at the Tanghalang Aurelio Tolentino (Little Theater) of the Cultural Center of the Philippines. The rap musical is directed by Tuxqs Rutaquio, composition and arrangement by Jose Carlo L. Frio and Nina Virgin, musical direction and co-arrangement by Jed Caballero Balsamo, choreography by Nestee Mamaril Gamilla, costume design by James Reyes, and lighting design by John Batalla. Re-run is scheduled for September 2014. New and unique. Distinctly Pinoy and wonderfully contemporary. Rap and fliptop, local hiphop, and everything in between. This is a rap musical that does not flinch. All songs are in the form of the rap song, all dialogue happen like a fliptop battle. Taking from local hiphop culture, the dance and movement that are part of this story’s telling is distinctly of the present, even as it refuses to fall into the trap of foreign mimicry. The narrative makes sure this production has its feet so deeply rooted in the ground, where the importance of its message is one that’s not thrown in your face, or is forced down your throat. Instead the surface is enough to enthrall you with simplicity: this is a community that struggles every day and lives to tell the tale. This is a world where government is but a shadow that people live against, and without. This is the story of the simpleton that is Tabo, who finds hope in love, and finds reason in the midst of ruin. This is about Tabo’s world crumbling before him, and his decision to rise to the occasion as unlikely hero. 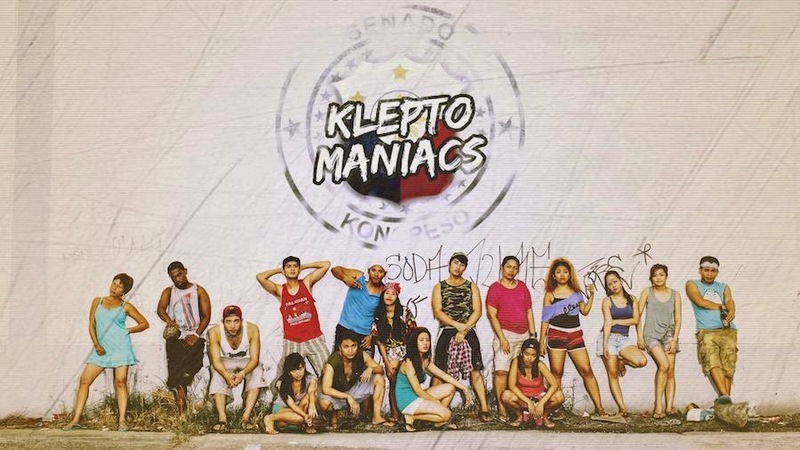 Kleptomaniacs is about this world where people don’t only speak of resilience, they actually consciously live it. They do not depend on government, because they are its mere pawns. They struggle every day, and find that they survive. In this world, kleptomania is the reason for hunger and want. It is the inexplicable violence of corruption in government that creates this community in dire need. 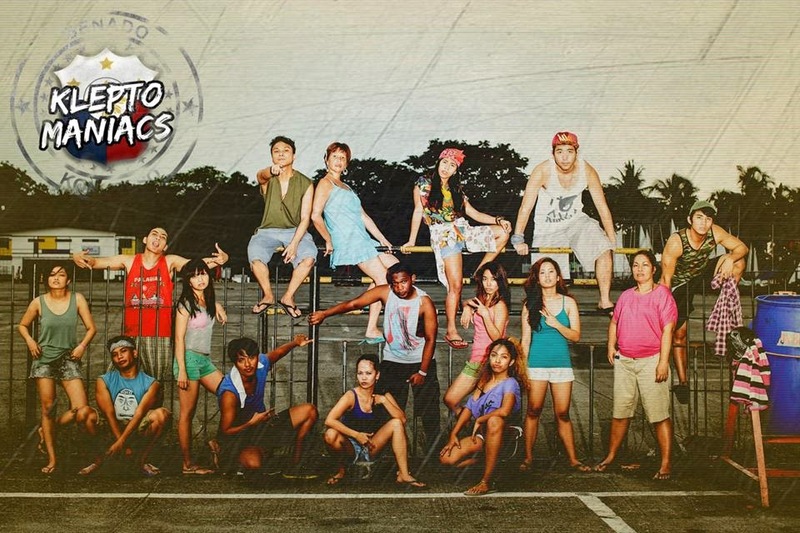 Working with local hiphop culture’s roots in speaking out against oppression and creating a community, and inspired by the songs of Gloc-9 and its ability to critically engage with issues that are important and relevant, Kleptomaniacs is the story of our common and current struggle against the need and hunger that corruption breeds.